The Mercedes-Benz G-Class is going home to Australia, the territory that it was first made of in 1979, as a military vehicle. It is now though a wok horse. It is the Mercedes-Benz G-Class pick-up truck. Rugged, robust, versatile. These are the three words that thoroughly describe the Mercedes-Benz G-Class pick-up truck. Before the new Mercedes X-Class comes out, this one can do the job. 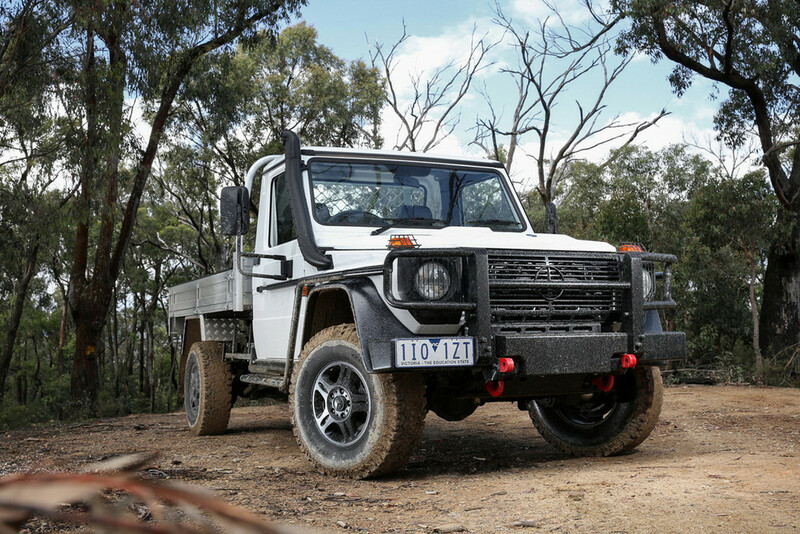 It has been launched in Australia and it is based on the G-Class body, fitted with a pick-up bed. It goes by the name of G300 CDI and it is functionally designed to work until it drops. 16-inch alloy wheels wrapped in all-terrain tires, a black grille and black trim on the sides make it look like a Jack-of-all-trades. With approach and departure angles of 38 and 35 degrees respectively, it can pretty much tackle any hard surface and even drive safely through nearly 25 inches of water. Those who were familiar to the 30-year old G-Class models will feel right at home in the 300 CDI new cabin with seats covered in vinyl upholstery. But that is as far as the luxury goes. 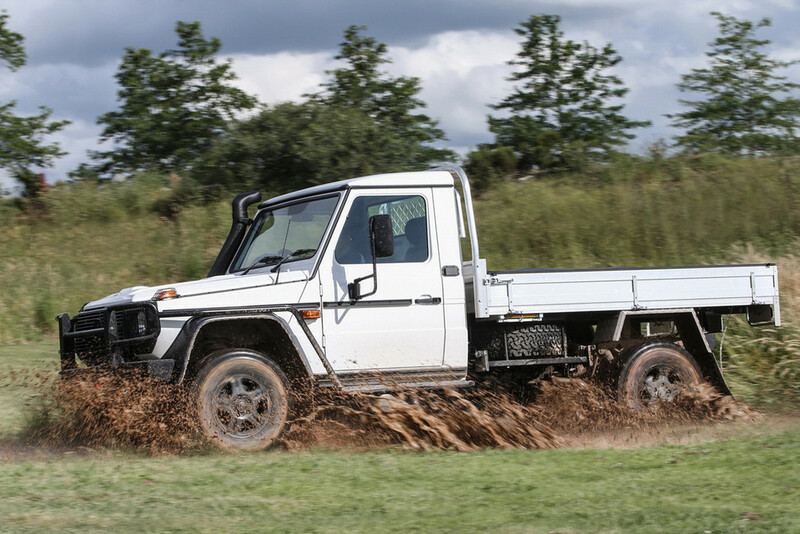 The pick-up G is not dressed to impress in terms of looks, but work. It is powered by a 3.0-liter turbodiesel V6 engine, good for 181 HP, sending the power to all four wheels via a 5-speed automatic transmission. 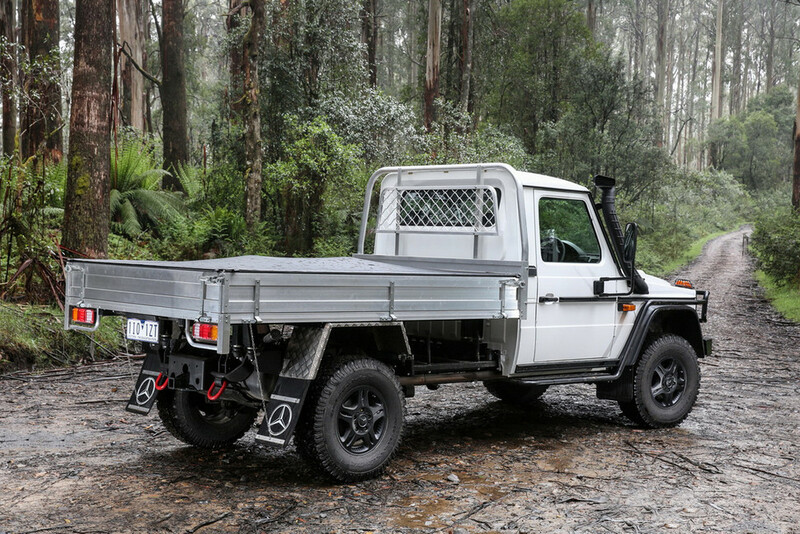 Manually built in Graz, Austria, the G-Class pick-up truck is on sale in Australia for prices starting at 119,900 Australian Dollars ($90,000) and it stands no chance to ever make it to the US.